EmpireMUD is a map-based online game derived from CircleMUD, a part of the DikuMUD family. The original EmpireMUD, called Age of Destiny, was developed from 2000-2003 by Paul Clarke. 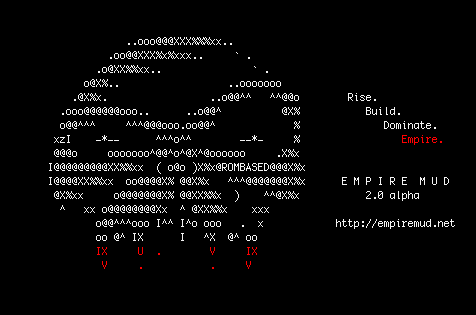 EmpireMUD 2.0 began in 2013 and receives regular updates from the original developer. Mudlet – A full-featured client for multiple operating systems. Don’t worry too much about archetype. It gives you some starter skills, but you can still learn any of the other skills later. Use the promo code countdemonet to start the game with 100 coins. The EmpireMUD source code is available on GitHub for people who want to run their own copy, or just want to see how it works under the hood. 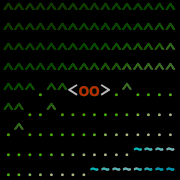 EmpireMUD is written in the C programming language. It needs about 175MB of RAM to run, or less if you generate a smaller world.